On Thursday, February 20th, The Saint Tavern (@thesainttavern) hosted their inaugural Brewmaster's Dinner. The restaurant teamed up with Amsterdam Brewery (@amsterdambeer) to kick start the exciting dinner series. 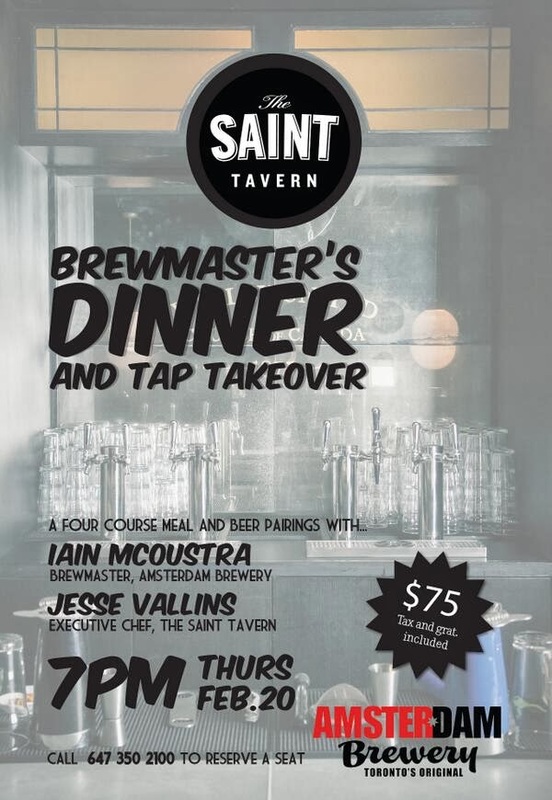 The four-course dinner consisted of select beer and collaborative food pairings by The Saint Tavern's Chef, Jesse Vallins and Amsterdam Brewery's Brewmaster, Iain McOustra. Cooked sous vide in butter and herbs, the potatoes were then breaded with potato starch and dried potato flakes before deep frying. Beer taking over the table! The food and beer pairings at this Brewmaster's Dinner were spot on! Till this day it still fascinates me how beer has this amazing capacity to pair with all kinds of foods. Although I'm not a big fan of beer I have to admit that at times, I find beer more food-friendly than wine. There is certainly more room for flavour variety with beer such as yeast, barley, hops, along with spices, nuts, chocolate, fruits, and vegetables. 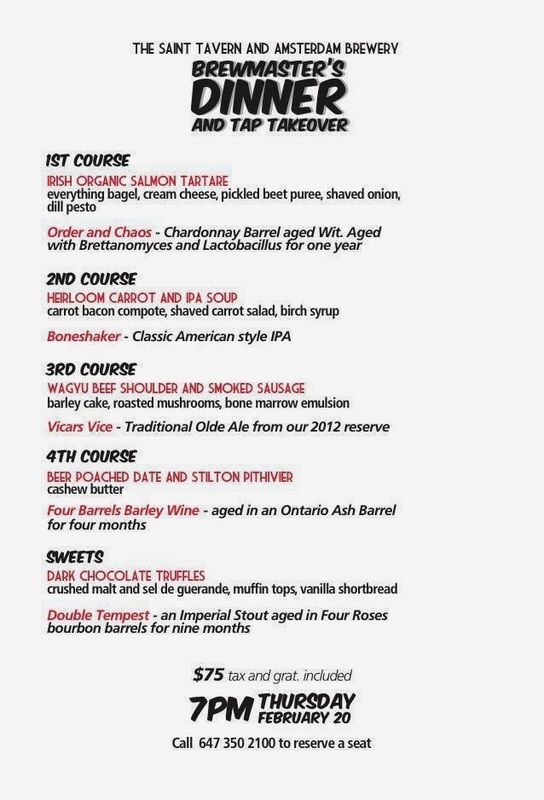 Chef Jesse Vallins and Iain McOustra both did a terrific job in matching that evening's food's flavours to the flavours of the beers...every course was a winning combination!